Peter Lavrov was born in Russia on 2nd June, 1823. He entered a military academy and graduated in 1842. After a career as a army officer Lavrov taught at St. Petersburg University. Lavrov developed radical views and his outspoken views on the need to bring an end to serfdom and autocratic rule resulted in him being arrested and sent into internal exile to the Ural Mountains in 1868. He managed to escape and travelled to Paris. Lavrov explained his political views in Historical Letters (1870). He also edited the newspaper, Vpered! (Forwards!). In 1870 he became a member of the International Workingmen's Association. He was also involved in the Paris Commune. Lavrov moved to Zürich in November 1872, where he engaged in a debate with Mikhail Bakunin, the co-author of Catechism of a Revolutionist. 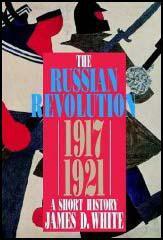 It included the famous passage: "The Revolutionist is a doomed man. He has no private interests, no affairs, sentiments, ties, property nor even a name of his own. His entire being is devoured by one purpose, one thought, one passion - the revolution. Heart and soul, not merely by word but by deed, he has severed every link with the social order and with the entire civilized world; with the laws, good manners, conventions, and morality of that world. He is its merciless enemy and continues to inhabit it with only one purpose - to destroy it." Lavrov disagreed with Bakunin about the way change will be achieved. In 1873 he argued: "The reconstruction of Russian society must be achieved not only for the sake of the people, but also through the people. But the masses are not yet ready for such reconstruction. Therefore the triumph of our ideas cannot be achieved at once, but requires preparation and clear understanding of what is possible at the given moment." 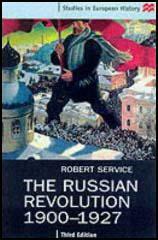 In To the Russian Revolutionary Youth (1874) Lavrov attempted to explain how dictatorships are formed: "History has shown us, and psychology proves, that the possession of great power corrupts the best people, and that even the ablest leaders, who meant to benefit the people by decree, failed. Every dictatorship must surround itself by compulsory means of defence which must serve as obedient tools in its hands. Every dictatorship is called upon to suppress not only its reactionary opponents but also those who disagree with its methods and actions." In 1883 Georgi Plekhanov joined with Pavel Axelrod to form the Liberation of Labour group. This group argued that it would be impossible to overthrow Russia's authoritarian government and replace it with peasant communes. They believed that a socialist revolution would only come with the development of a revolutionary industrial workers’ party. Lavrov pointed out that almost 90% of the Russian population and that a revolutionary vanguard would create a dictatorship: "Whenever a dictatorship succeeded in establishing itself it had to spend more time and effort in retaining its power and defending it against its rivals than upon the realization of its programme, with the aid of that power. The abolition of dictatorship assumed by a party can only be dreamed about before the usurpation takes place. In the struggle of parties for power, in the class of open or concealed ambitions, every moment furnishes an added reason and necessity for maintaining the dictatorship, creates a new excuse for not relinquishing it. A dictatorship can be wrested from the dictators only by a new revolution." Lavrov initially argued that progress came about from the deliberate action of "critically thinking individuals". The role of intellectuals was to imbue the people with the knowledge that would help them to attain "the moral ideal of socialism". Later he was converted to Marxism and allocated a greater role to economic forces in obtaining political change. Peter Lavrov died on 25th January 1900. The reconstruction of Russian society must be achieved not only for the sake of the people, but also through the people. But the masses are not yet ready for such reconstruction. Therefore the triumph of our ideas cannot be achieved at once, but requires preparation and clear understanding of what is possible at the given moment. History has shown us, and psychology proves, that the possession of great power corrupts the best people, and that even the ablest leaders, who meant to benefit the people by decree, failed. Every dictatorship must surround itself by compulsory means of defence which must serve as obedient tools in its hands. Every dictatorship is called upon to suppress not only its reactionary opponents but also those who disagree with its methods and actions. Whenever a dictatorship succeeded in establishing itself it had to spend more time and effort in retaining its power and defending it against its rivals than upon the realization of its programme, with the aid of that power. The abolition of dictatorship assumed by a party can only be dreamed about before the usurpation takes place. In the struggle of parties for power, in the class of open or concealed ambitions, every moment furnishes an added reason and necessity for maintaining the dictatorship, creates a new excuse for not relinquishing it. A dictatorship can be wrested from the dictators only by a new revolution. Falsehood can never be the means for spreading truth. Exploitation or the authoritarian rule of the individual can never be the means for the realization of justice. Triumph over idle pleasure cannot be attained by the forcible seizure of unearned wealth, or the transfer of the opportunity for enjoyment from one individual to another. People who assert that the end justifies the means should keep in mind the limitation of their rule by the rather simple truism; except those means which undermine the goal itself.